International Baccalaureate and Advanced Placement are both very competitive and prestigious programs at Coppell High School. International Baccalaureate (IB) is a 2 year program, which students can take in their junior and senior year. Coppell High School has adopted the IB program in 2009, and since then, many students have chosen to take it. Advanced Placement (AP) is a program which offers students to take college level courses. Many students at Coppell High School begin taking AP courses from their freshmen year and continue to stay on that track till until graduation. Some freshmen and sophomores may have a hard decision about which to do and may need some advice. “I originally took IB because of the GPA boost, but once I got in it, I really enjoyed the closeness,” senior Derek John said. IB and AP have different testing styles. 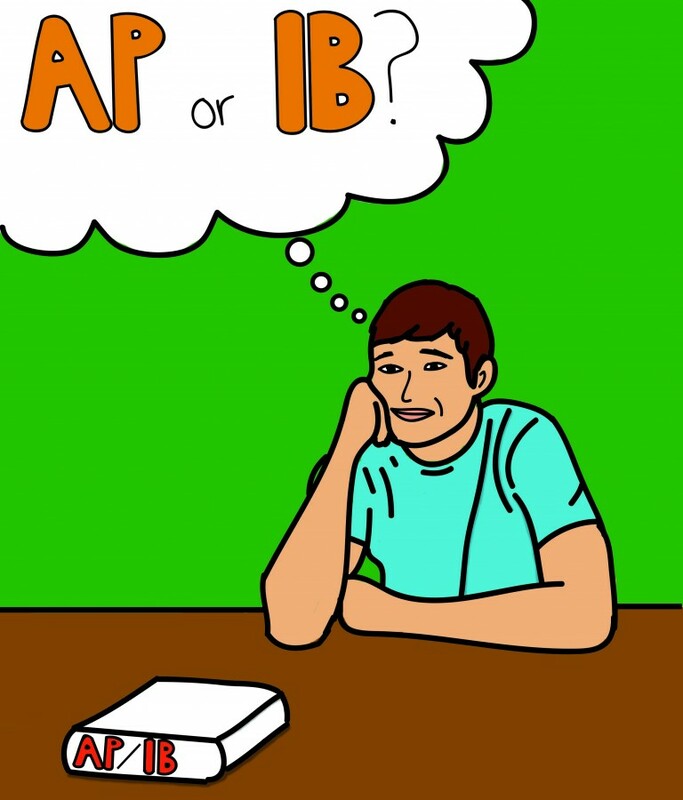 IB’s tests are based on free response answers whereas AP’s tests are multiple choices. Not only does John like the testing style, but he also enjoys the close environment and working with students who are similar to him. “It’s fun because of the learning environment. All of us are smart and we get things done an efficient manner,” John said. Though both programs have rigorous workloads, senior Anjali Chandra claims to enjoy AP more. “I like how in AP, I just have to remember a year worth of the class and take the test, and not remember what I learned a year ago,” Chandra said. Chandra also enjoys the testing style. 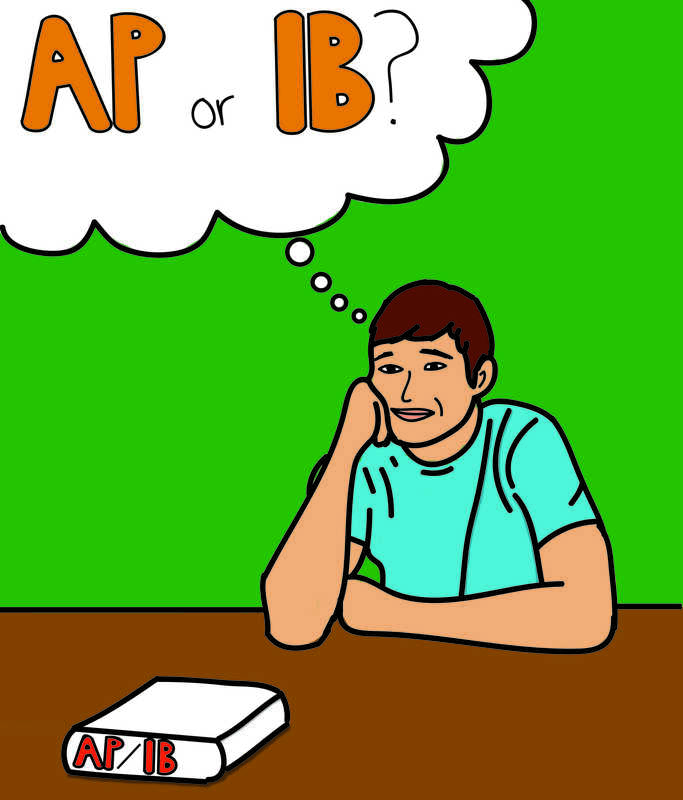 In IB classes, students usually have to take their all their IB tests from junior and senior year at the end of their senior year. Whereas in AP, students take their AP tests at the end of the school year. Chandra is also a Red Jacket this year. AP has taught Chandra to be more responsible and be a leader. “You need to do what’s best for you, even if it means that you have to do something different than what your friends do,” Chandra said. Many of Chandra’s friends joined IB, but she took the AP route and was proud to make that decision. “AP certainly lets a student focus in on particular subject, whereas in IB, the student has to take it all,” IB teacher Michael Brock said. Brock taught AP World History and AP European History for eight years before teaching IB. Brock is now the new IB coordinator this year and teaches second year IB History of Americas. “IB exams are research based while AP exams are on what what the student’s knowledge,” Brock said. For IB exams, students can choose what they want to investigate. The Theory of Knowledge course, the extended essay (incorporates students’ research) and community action service gives them a chance to incorporate some of the things needed to graduate. “Specifically for history, the breath of the course is not as great as an AP history course,” Brock said. Brock’s second year of History of Americas only covers the 20th century, this lets students focus on the course in great depth. Balantrapu is currently in IB and said it would prepare her better for college since it would force her to be a holistic person. Balantrapu said that her year in IB so far has let her grow as a student and a person. She has learned a lot and cannot wait to learn more. “The great thing about AP classes is the rigor, the classes help them prepare for college,” associate principal Michelle Kellan said. Kellan used to teach AP Psychology at Colleyville Heritage High School. At Colleyville Heritage, Kellan would intern in the office every other day and teach the others. “Coppell is my first experience with IB. At first, I didn’t know a lot about IB, but when I became associate principal, I was trained in IB, which really opened it up for me,” Kellan said. There are many courses for AP, which gives students a wide range to choose from. “Both programs are very good, they both prepare students for college,” Kellan said. If freshmen and sophomores still have a hard time choosing between AP and IB, talk to upperclassmen and see what they think of it. Both programs are rewarding and should not be regretted. “At the end of all of it, the thing that is great is that the students here [at Coppell High School], have just a wealth of opportunities to really maximize their time here and to get the most of their education that they can get here,” Brock said.